The Academy of Arms Los Angeles is a non-profit school dedicated to the study and practice of the historical european martial arts (HEMA). 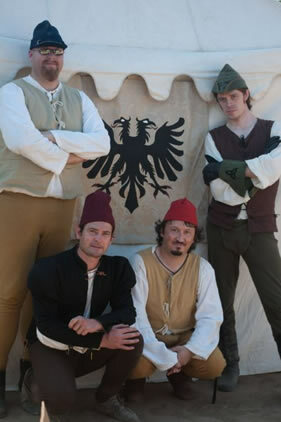 Our Instructors teach a curriculum drawn directly from historical texts written primarily in the 14th-16th centuries. The Academy provides an indoor studio where the greater Los Angeles community can pursue these historic studies. Our goal is to revive these lost arts by increasing awareness and inspiring a passion for this rich period of history. 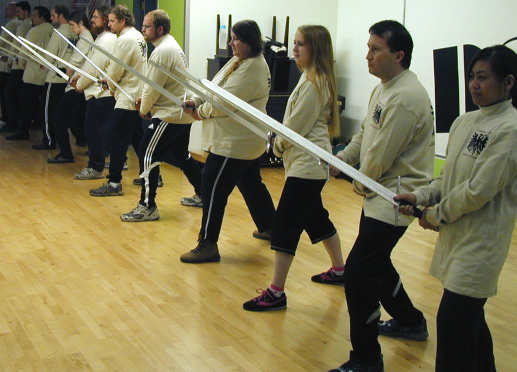 We teach longsword, rapier, dagger, grappling, spear, pollaxe, halfsword, sickle, messer, sword and buckler, and short staff. Click here to see videos of the fighting style we teach.